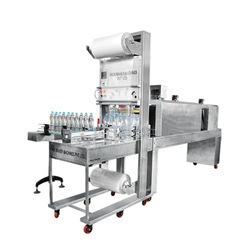 Being a pioneer industry, we are indulged in offering Semi Auto Web Sealer Shrink Machine which is best for the purpose of manufacturing bottles. Offered machines are high in demand as these are in accordance with the standards as well as manufactured using supreme quality materials supplied by our vendors. Our reputed clients can avail the product in wide assortment and affordable range so as to meet the growing demand of our clients. We are into the business of manufacturing, supplying a wide range of Fully Pneumatic Auger Machine for Powder. 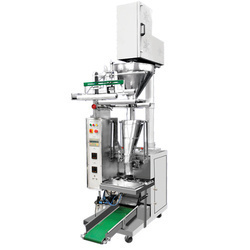 The Auger Filling Machine is a complete, economical solution to your filling production line requirements. The offered range is used to pack various liquids like shampoo, oil, ghee and various other liquids. The offered range is widely demanded in food processing, pharmaceutical and other industries. Being a quality-driven organization, we offer Z Shaped Bucket Conveyor. 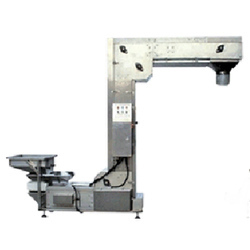 This machine is highly efficient and is specified according to the requirements of our clients. We offer the product in a wide range and best prices to our clients so as to maintain and build our credibility among our highly esteemed clients. The offered conveyor is highly appraised among our clients owing to its easy installation and minimum maintenance. We are a well-known name in the field of manufacturing and supplying Fully Pneumatic Four Head Weigher. Our responsibility of providing the best quality product to our clients has become prior. For its sturdy construction and fine design, it is being much demanded by our clients. We present the product in all specification and design. We offer this highly efficient product in best suitable marketing prices so as to meet the market competition. We have expertise in manufacturing Mechanical Liquid F.F.S. 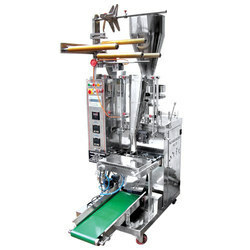 Machine that is extensively used for packaging of various items as such as free flow powder, tea, coffee powder, sugar, namkeen, snack food, spices, detergent powder, etc. The offered machine is designed using the best quality components and cutting-edge technology under the vigilance of our adept professionals. Cup Filler F.F.S. Machine is manufactured in compliance with an industrial standard of quality and is supplied to clients at leading market prices. These are known for their high efficiency, sturdiness and durability. The long service life of these machines is widely acclaimed. We supply these to clients in a number of specifications within the stipulated time frame. Our tendency of not compromising with the quality of the product makes us popular amongst the clients. 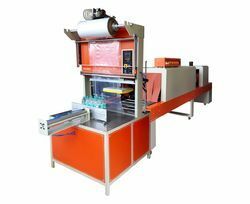 Since we have started, we are successfully manufacturing Auto Sleeve Wrapping Machine For Bottle. The product is manufactured using quality components under the supervision of our skilled workers. These are appreciated for their easy operation, long service life and low maintenance. 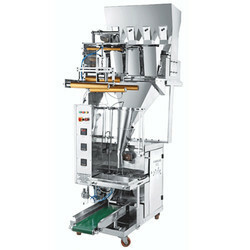 The machine is used for various packing purposes like packing of fryums, kurkure, puffs, powder and grains in compliance with set industry standards. Backed by our team of skilled workers, we offer Half Pneumatic Auger Machine. 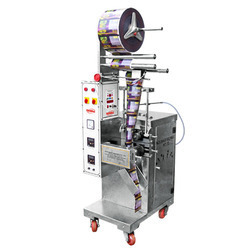 Our machine is on high demand for its best quality and excellent functionality. We hire quality controllers for checking the product before their delivery to the clients. 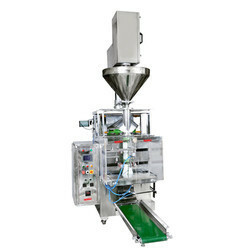 The machine is used for packing different kind of food materials. The price range we offer is the most affordable and feasible for our clients.